1. 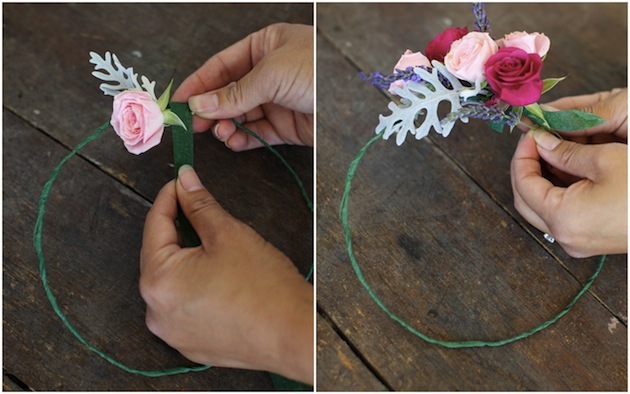 First take the floral wire and make a circle with it – roughly the size the size of the head you would like to make the wreath for. 3. 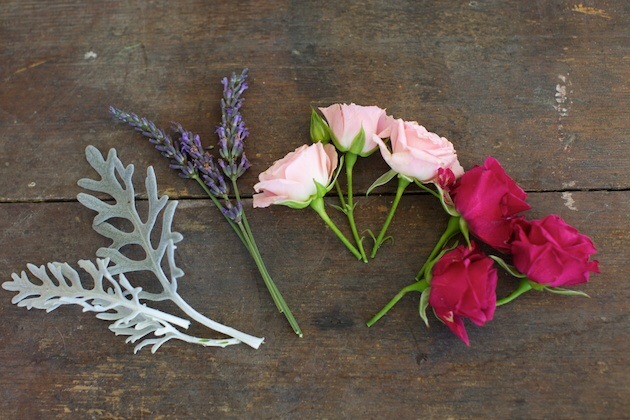 Cut sprigs of flowers you want to use and have them ready to attach to the wreath. 4. Start with a spray rose and some green foliage (we used dusty miller) and secure to the wreath. 5. Continue to add to the wreath with different flowers all around the wire. 6. Secure to your head with bobby pins. Pick your favorite flowers! There's no wrong way to do this. 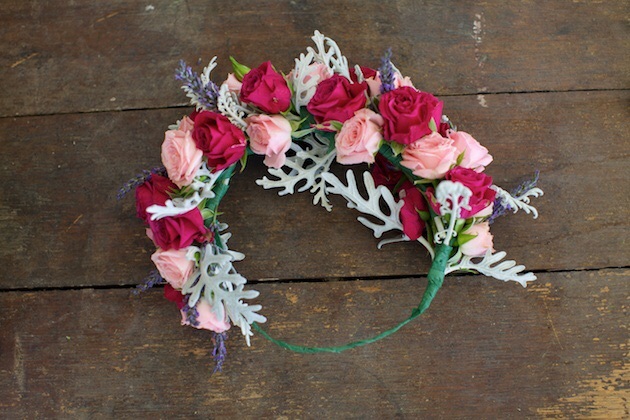 You can use floral tape or a glue gun. I chose glue gun and fake flowers for my first time. It's such a fun DIY project and you will feel gorgeous!